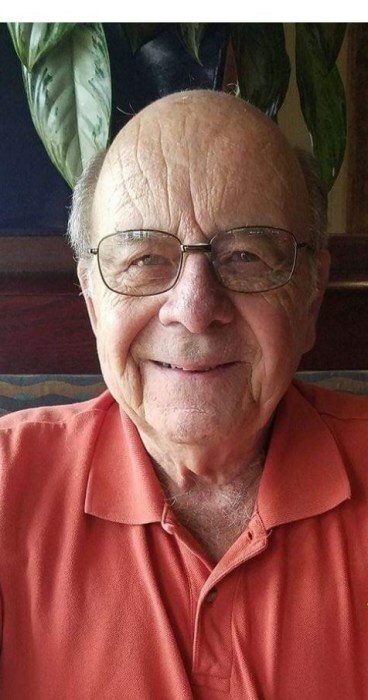 Jerry "Pops" Allison, age 77, of Macomb, passed away peacefully surrounded by his family on March 17, 2019 at 2:00 a.m. at the home of his daughter and son-in-law in Macomb. He was born on December 13, 1941 in Macomb the son of George and Ruth McGaughey Allison. He married Joyce Williams on July 26, 1963 in Geneseo, Illinois. She preceded him in death on September 17, 2002. He was also preceded in death by his parents and his beloved dog, Chuck. Jerry is survived by one daughter, Kassie (Ron) Courson of Macomb; one step-grandson, Trevor Courson of Avon; one sister, Brenda Allison, her friend, Carol Sims, both of Macomb; his grand dog Phil; Weronika Ciepiela, the Coursons’ exchange student, whom Jerry considered a granddaughter and Matt Kipling and Tim and Denise Kipling, whom he considered part of his family. Jerry had lived all his life in McDonough County, and had worked for 38 years as a supervisor at NTN-Bower in Macomb. He also farmed in rural Macomb. Jerry was a very community minded person, was founding member of VIBE and served as treasurer since its inception. Jerry passed away on St. Patrick’s Day, the day he was to be the Grand Marshall for the first annual Macomb St. Patrick’s Day parade. This parade will be known in the future as the Jerry Allison St. Patrick’s Day Parade. He was a member of the Macomb Elks for 57 years. Served on the Chalmers Township Board for over 40 years. He was a graduate of Macomb Citizen’s Police Academy and was the most senior graduate of the Academy. During the upcoming Macomb Blue Line Ball, he will be posthumously awarded the Citizen Appreciation Award of the Year. Funeral services will be held on Friday, March 22, 2019 at 2:00 p.m. at the Clugston- Tibbitts Funeral Home in Macomb. Rev. Lyren Haney and his nephew, David Chapman will officiate. Burial will be at the Oakwood Cemetery in Macomb. Visitation will be held from 5:00 p.m. until 7:00 p.m. on Thursday, March 21, 2019 at the funeral home. Jerry loved a party, so following the graveside services on Friday there will be a "Party" to celebrate his life at the Forum in Macomb, and all are invited. Upon his wishes in Jerry Allison style "I Got It!" Memorials may be made to Macomb FOP #189, the Emmett Chalmers Fire Department, and Wesley Home Health.